Having worked in Europe for the European Union, NGOs and think tanks, Tommaso Ripani knew that what he truly wanted was to be part of the UN in the field. “Studying international relations is one thing; putting it into practice is a completely different story,” he said. 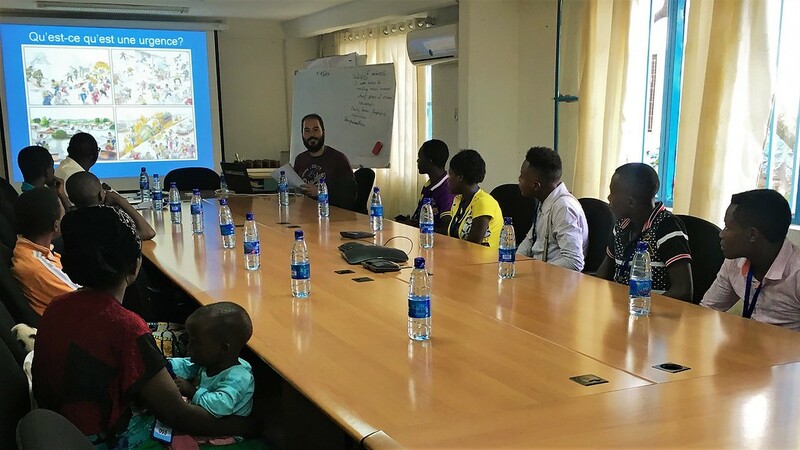 On International Volunteer Day, Tommaso shares some of his most significant experiences with us. 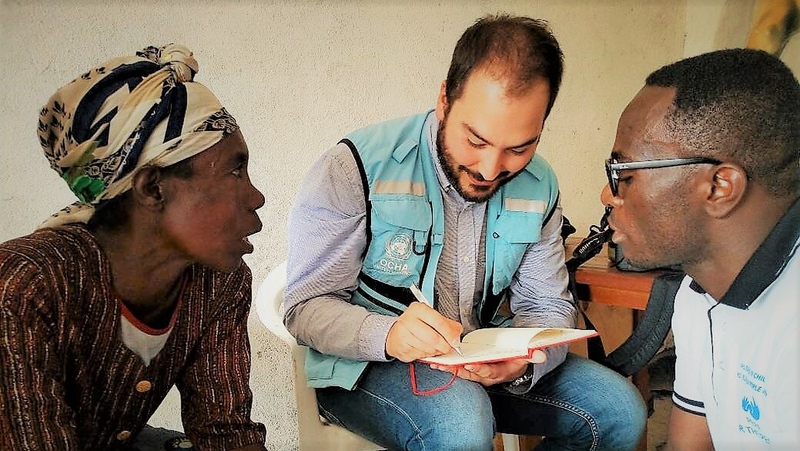 Humanity, impartiality, independence and neutrality – for us humanitarians, these principles guide our work, how we deliver humanitarian assistance, no matter what the political context, and no matter what country we operate in. For those we strive to assist, though, they can sound like vague concepts, with little to no relation to their everyday life, and the little they do to ease their struggle to survive. The security situation in North Kivu is probably one of the worst in all of DRC. It counts some 60 armed groups, the largest number in the country per province. Last year alone, we registered 17,770 cases of violence against civilians. Out of 8.3 million inhabitants of North Kivu, 2.63 million people are in dire need of humanitarian support. Some 1.15 million internally displaced persons (IDPs) live in the province, meaning that more than 26 per cent of all IDPs in the entire DRC can be found here. In Goma, the capital of North Kivu, Congolese musicians, painters, singers, dancers and other artists from across the country gather once a year to celebrate art as a sign of peace and development for all. To participate in the celebration, this past year OCHA, UNHCR and UNICEF organized an exhibit of drawings about humanitarian principles made by 10 local young children. And I was asked to make a presentation to 10 Congolese youngsters about humanitarian work and principles. It was easier than I thought. They were very inquisitive, certainly, and had so many questions I barely had time to answer them all. They had questions on how we decide where to be, how we assess humanitarian needs, how we work together with local partners. Some questions were more personal. “Why did you leave Italy?” “Why did you leave your family?” I did my best to explain my choice, why I wanted to be there, and how I decided to join the UN. And in the end, I realized that for those whose lives are at stake, humanity, impartiality, independence and neutrality are not such convoluted concepts. They truly make the difference between life and death. Humanitarian crises – whether natural disasters or conflict situations – can have a disproportionate impact on older people. They are more exposed to poor nutrition, more vulnerable to health issues – age-related or chronic illness – and more at risk of violence. They also can be more vulnerable to violence, theft and abandonment when resources are limited. I met many elderly people during my field missions. In the DRC, they represent about 5 per cent of the displaced population. They struggle to make a living and support their families so as not to be a burden on them. 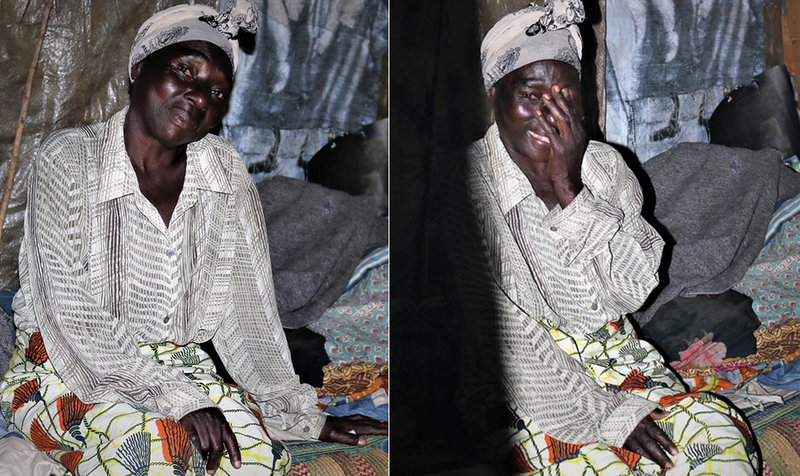 They often have chronic diseases they cannot afford to take care of, and, in some cases, they are more at risk of gender-based violence and have nowhere to go for support. I carry fond memories of two people in particular. I travelled to Mugunga in June 2018 to document the impact of a socioeconomic reinsertion project for the elderly led by Pleaders of Children and Elderly People at Risk (PEPA), a Congolese NGO active in North Kivu in promoting the rights of older people. 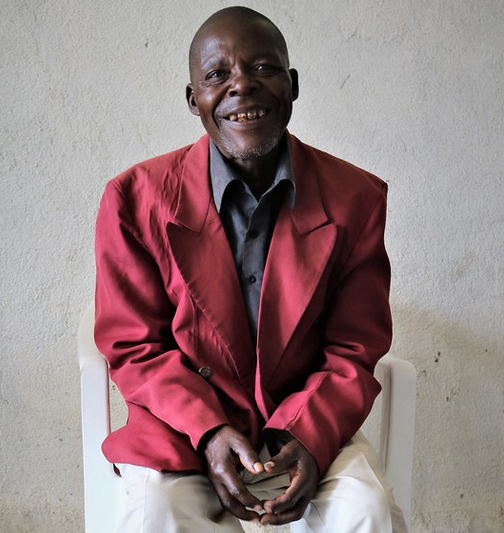 PEPA is providing much-needed psychological, medical and legal assistance to the elderly living in Mugunga. Murihire and Bienda are among those who are surviving thanks to this project. They were the first ones to approach me. They wanted someone to hear their story, and they were so genuinely happy to see that someone was there just to listen to them. For years, Bienda used to walk long distances to find wood and water for daily use. But that put a strain on his already fragile health. Today, he can barely walk, and without help, he wouldn’t have survived. Sadly, his struggle is common to many other older people who find it difficult to access distribution points and carry heavy supplies. And chronic diseases common to older age – heart conditions, hypertension, diabetes and respiratory diseases – can worsen without adequate routine assessment and medication. After sitting with Bienda, I listened to Murihire’s story. Murihire is 72. The first thing she told me is that she cannot remember the exact year when she had to flee Bukombo, a small village in the Masisi Territory, but she does remember every moment of the day she was raped in the woods. This is the difference humanitarians make in people’s lives. Projects like the one I went to document, projects run thanks to the DRC Humanitarian Fund, give people like Murihire a chance to rebuild their lives. I am glad I got that email that night. I don’t know where this journey will take me, but I do know this is what I want to do, and that I am proud of having become a UNV and a humanitarian.